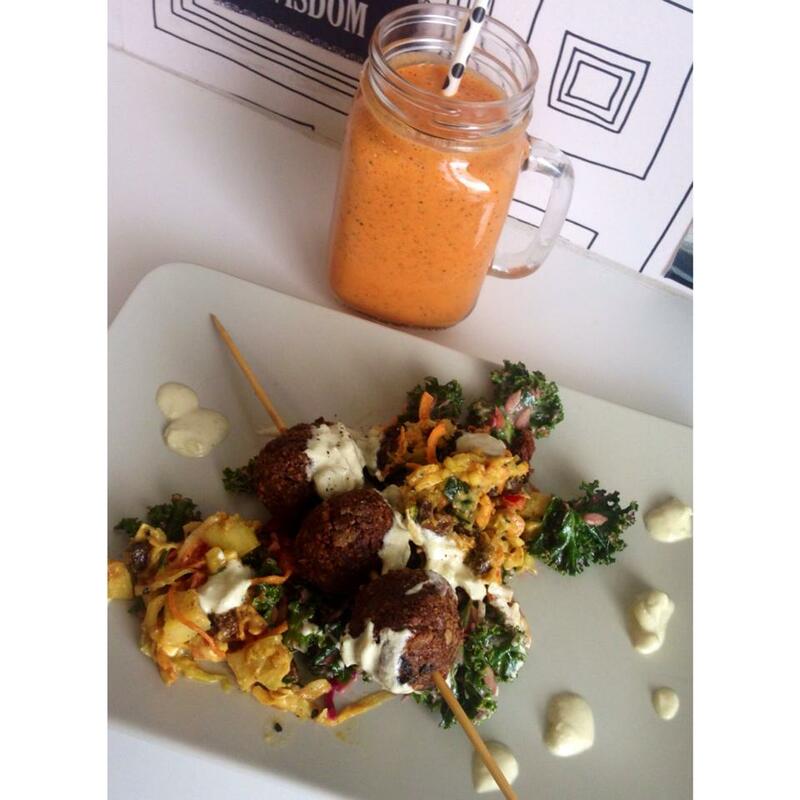 Orawgi (organic, raw, low GI) serves up an awesome range of organic, raw, delicious vegan food. Everything is made fresh on the premises, the staff are incredibly friendly and take the time to explain to you what food is on offer that day. We were overwhelmed with choice as there were lots of yummy goodies on offer – raw pizzas, koftas, burgers, salads, cakes, smoothies and donuts to name a few! The picture above is the raw koftas with kale salad – this has to be one of the most delicious lunches I have had, the koftas were full of flavour and the salad was divine. I also ordered the raw peppermint slice for desert (which will be posted up on the blog soon). It is easy to see the amount of hard work and passion that is put into the creation of these beautiful raw dishes, we will definitely be back for more!